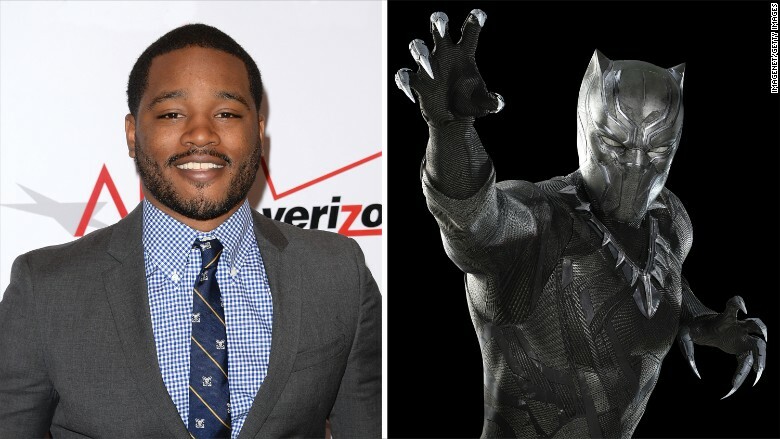 Ryan Coogler will be the first black director of a Marvel movie. Ryan Coogler's next round will be with Marvel. Coogler, the director of the "Rocky" sequel "Creed," will direct Marvel Studio's upcoming "Black Panther" in 2018, the studio's first film starring an African-American superhero. Coogler will be also be the first African-American director in the history of the Marvel Cinematic Universe, a film franchise that has made over $9 billion at the worldwide box office. "We are fortunate to have such an esteemed filmmaker join the Marvel family," producer and president of Marvel Studios Kevin Feige said in a statement. "The talents Ryan showcased in his first two films easily made him our top choice to direct 'Black Panther.'" Coogler is one of the biggest up and coming directors in Hollywood. The 29-year-old director has received critical acclaim for his work on 2013's "Fruitvale Station" and November's "Creed," which earned Sylvester Stallone a Golden Globe for his performance on Sunday. First created by the legendary team of Stan Lee and Jack Kirby in 1966, Black Panther (also known as T'Challa, king of the fictional nation of Wakanda) has been a member of the Avengers and one of Marvel's most vital characters for 50 years. The hero, which will be played by Chadwick Boseman, will make his feature debut before 2018, however, as he appears in May's highly anticipated "Captain America: Civil War." "Many fans have waited a long time to see Black Panther in his own film, and with Ryan we know we've found the perfect director to bring T'Challa's story to life," Feige added. "Black Panther" claws into theaters on February 16, 2018.